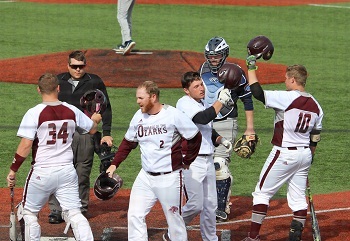 College of the Ozarks' baseball hosted the first day of a two-day Tri-Match on Friday that featured the Bobcats, Bellevue University (Neb. ), and Columbia College (Mo.). After Bellevue defeated Columbia by a score of 10-0 in game one, the Columbia Cougars faced the Bobcats. The Cougars, eager to return to the win column, took a 1-0 lead in the top of the third inning, thanks to a leadoff double by Joshua Miller (1-3), followed by a sacrifice bunt moving him to third, and a ground out to score the run. The Bobcats, playing their first game of the day, took a little longer to get started. In the bottom of the fourth, senior Jay Kaufman singled up the middle and moved to second on a sac bunt by senior Kole Kelley. Freshman Ryan Daggs stepped to the plate and launched a two-run homer to left field to give the Bobcats a 2-1 advantage. The fifth inning saw both teams go up and down quickly. In the top of the sixth, Cougar Chase Urhahn doubled with one out, but Bobcat ace Collan Thrasher struck out the remaining two batters to shut down Columbia. 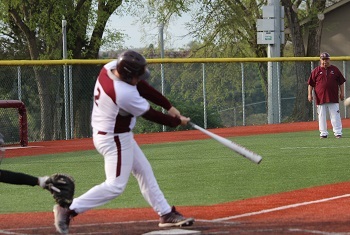 In the bottom of the sixth, Kyle Abrahamson led off with a single to right and Kaufman added a single of his own. A ground ball double play followed, which allowed Abrahamson to advance to third. Daggs stepped up to the plate to provide an RBI single. After Kyle Giefer and Westin Gann each drew walks to load the bases, Bryce Burtless lined a two-RBI single to left field to give the Cats a 5-1 lead. The Cougars went down quickly in the seventh, as C of O captured the win. Thrasher, a senior right hander, collected a complete-game victory to move to 5-6 on the season. He allowed one earned run on four hits and one walk, while striking out five batters in seven innings pitched. Leading the Bobcats at the plate were Daggs (2-3, 3 RBI, 1R), Burtless (2-3, 2 RBI), and Kaufman (2-3, 1R). The Bobcats faced the Bellevue Bruins in the final game of the day and came away with a 12-2 loss. The Bruins’ bats were still hot, tallying 12 runs on 15 hits, including five doubles, one triple, and one homerun. Bellevue opened the game scoring six runs on five hits in the second inning. 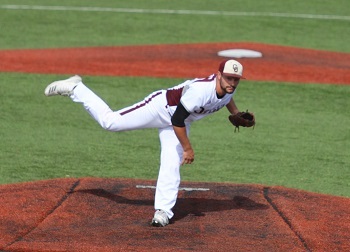 Kyle Giefer had an unusually tough start on the mound for the Bobcats, and senior Ethan Whiteis entered the game midway through the second inning. Bellevue tallied three runs in the third, highlighted by a Riley Baasch homerun, Hunter Jury double, and Stuart Eurich triple to take a 9-0 advantage. While Whiteis settled in and held the Bruins scoreless in the fourth and fifth, it wasn’t until the bottom of the fifth that the Bobcats were able to rally and put some runs on the board. Abrahamson singled to lead off the inning, Kelley reached on a one-out walk, and Kaufman singled to right to score Abrahamson. A Daggs’ ground ball allowed Kelley to score their second run. Unfortunately, the Cats were unable to push any additional runs across the plate, while the hard-hitting Bruins put up one in the sixth and two in the seventh. Giefer suffered the loss for the Cats, taking his record to 4-5. The Bruins’ Anthony Alvarado pitched a complete game, giving up two earned runs on six hits with two walks and five strikeouts. C of O was led at the plate by Kaufman (2-3, 1RBI) and Max Pulley (2-4).